Engineering Services Examination (ESE/IES) make a big changes in Pattern of Examination and Syllabus from 2017 Onwards. 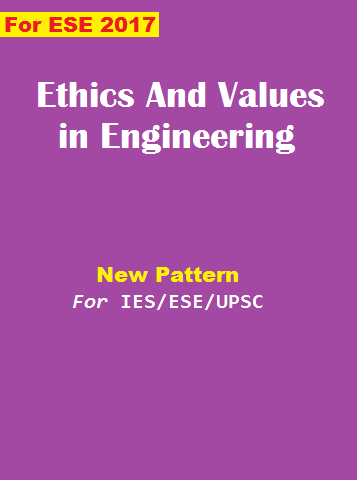 In the revised Syllabus of ESE Ethics and Values in Engineering Profession is one of the New topics Under Engineering Aptitude Category. Several Students request us for Study Material for This topics, so here we are going to share this Notes to you. 8. Information and Communication Technologies (ICT) based tools and their applications in Engineering such as networking, e-governance and technology based education.